Mercruiser Racing- Bravo XR,Sportmaster lowers, Speed master 3,4,5,6,6 dry sump, and NXT. Diagnostic service for most fuel injected and naturally aspirated marine I/O engines.. Custom EFI installations for naturally aspirated and supercharged engines utilizing F.A.S.T fuel injecton products. Fuel injector testing and cleaning. Complete performance long blocks by GM, RHS, and Dart Products. Engine oil, filters, check drive alignment, motor mounts and run engine. Engine oil, filters, drive oil, check ignition components, hoses, intake, exhaust, power steering, trim, engine mounts, drive alignment, cables, batteries, transom assembly, ignition timing, scan EFI system or adjust carburetor. Change gear oil, grease gimbal bearing and u-joints,and check drive alignment. that are carefully checked/prepared by our technicians before shipping. 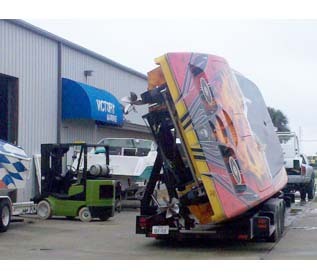 This insures that your investment will provide your with many seasons of stress-free boating. warranty to the winter snows. Call us for more details. Hi Performance engines do not include accessories and accessory brackets. All Non-Current outdrives are late model new outdrives that carry a 6 month Victory Marine warranty. Our Non-Current uppers and lowers carry a 20 day victory marine warranty. Each unit is disassembled and examined for the correct tolerances using the same standard applied to our performance customers. We have most ratios available for every model/style outdrive. Remanufactured units are limited to stock on hand. Victory Marine has all the latest accessories available for your latest marine project. As a Dealer/Distributor for most marine accessory manufacturers, we can offer deeper discounts than most dealers. Give us a call to help you with your latest project. 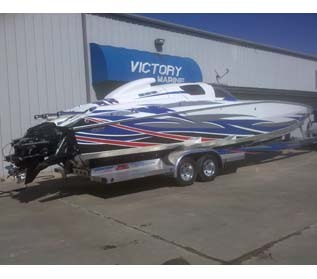 Victory Marine has all the parts for your latest performance project. As a Distributor for the following companies, we can offer deeper discounts than most dealers. Give us a call to help you with your performance project. Dart has become the leader in aftermarket cylinder heads, intake manifolds and engine blocks. Click here for our DART products price list. Call us for our unpublished best Price! COMP Cams® manufactures truly superior hydraulic and solid flat tappet, hydraulic and mechanical roller, and overhead camshafts for everything from OE replacement to full race, designed and manufactured using cutting-edge technology and the finest engineering in the industry. Whether your engine is naturally aspirated, or you run nitrous, or a supercharger or turbo, our cams make more horsepower than any other. Fuel Air Spark Technology is the authority in engine control electronics. Designed with the help of top race teams and engine builders, these bench-tested and track-proven products are the sure-fire routes to maximum horsepower. Utilizing the industry’s largest engineering team and the most advanced cylinder head manufacturing foundry in the world, RHST is the performance cylinder head leader for most all engines. The newest rage is RHS’s new LS family engine blocks and heads. Ask about Victory Marine’s custom LS based marine performance engines. The power of a big block at half the weight! As a GM industrial dealer, we can offer units utilizing parts from GM’s high performance product family. Give us a call today! 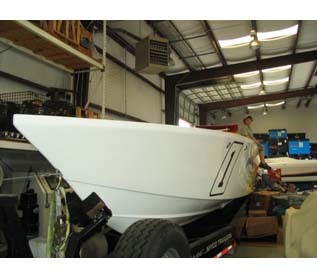 Victory Marine’s roots are deeply in-bedded in offshore high performance racing. For years the owner, Bill Reeves worked as lead technician and throttleman for many offshore racing teams all over the world. His love for the sport and boating lead to the creation of Victory Marine over 20 years ago.Our high performance roots offers our customers performance oriented solutions to their boating needs. from 50+ foot performance cats to 18′ runabouts, Victory Marine can get you on the water with a minimum of hassle. Victory Marine owns its own facilities which are currently located in a 200′ x 60′ building on 5.5 acres of land. Our office and sales staff are ready to serve you by phone or in person in our new showroom.